This page lists link types, uses, and patterns that make up the most the most common causes for Google Penalties in 2014. It can serve as a rough do-it-yourself penalty diagnoses guide of your penalized or at-risk site to determine broad penalty causes or impending risks. The information is equally valuable for screening SEO services or backlink packages to determine how risky they could be for your site. Though keep in mind that many SEO services will be using the more risky links on second and third link tiers that will be considerably safer than pointing directly at the site. The intent of this guide is that even if you are a laymen with little understanding of SEO strategies or concepts, you can still get a good idea about the causes of a penalty or impending risks. Obviously an analysis on this scale is NOT a substitute for a comprehensive penalty assessment which will be necessary for an accurate disavow. Depending on the penalty and links, you may also need to follow up a disavow with a backlink removal project which we can also provide. The following list contains the common link types, uses, and patterns that trigger algorithm penalties and sometimes incur manual webspam penalties like ‘unnatural links’. Note that these are general rules where you should be thinking about the link profile as a whole, not individual links. A few risky links won’t matter in an otherwise strong organic looking link profile but when these link types and patterns are used at scales where it becomes a significant proportion of the links, these are the most common causes of penalties we see. To skip to a specific section or link type, use the quick navigation box in the top right sidebar of the page. 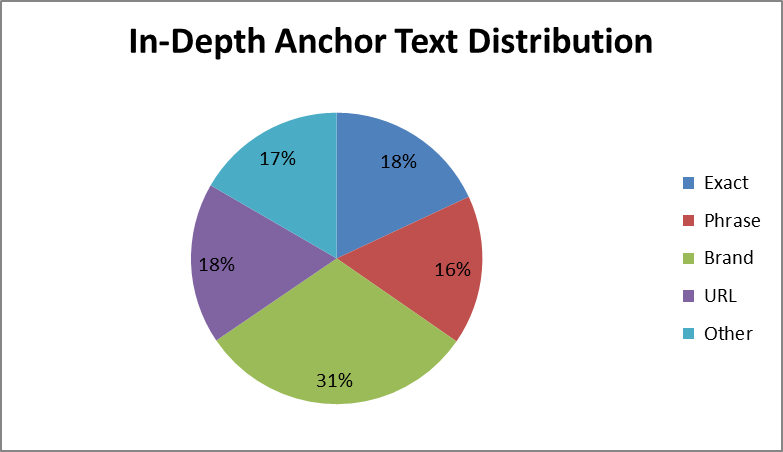 Unsafe anchor text distribution is a common penalty trigger and the first thing you should check for, particularly for Penguin recovery. It involves over-optimized anchor text ratios for one or more exact match keywords. It is particularly common for commercial keywords (AKA ‘money’ keywords). We commonly find this problem with sites that have used cheap automated link building services that only allow a few different keywords, and also older link profiles that have experienced long-term penalties. Over optimized anchor text ratios are prime targets for Google Penguin and can easily be fixed or greatly improved with careful application of the Google Disavow tool. Additional improvements can be achieved with carefully diversified link building. ‣ Anchors with ranking keywords (AKA ‘money keywords’) should ideally be making up less than half the link profile. Higher percentages do not guarantee a penalty but do put the site at higher risk. ‣ No single anchor text keyword or phrase except brand name and naked URL(s) should be over 10% of the total link profile. Money keywords should be under 5%. ‣ Exact money keywords should be mixed with other related keywords as well as natural phrases that include those keywords. ‣ Keyword+natural phrase and keyword+brand name anchor variations should approach similar numbers or even exceed exact-match keyword anchors. It is still extremely rare for low-budget SEO services to even include ANY of these anchors. ‣ If the brand name is also an exact-match ranking keyword it should be treated much more carefully as if it is a ranking keyword and not a brand. ‣ 15% – 30% naked URLs (url address with no anchor phrase) is safe and natural. This is very important for safe SEO and Penguin recovery projects. ‣ 15% – 30% generic anchor text like ‘click here’, ‘home page’ and ‘learn more’ is safe and natural. 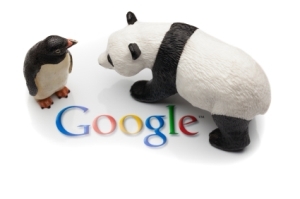 Again, very important for safe SEO and Penguin update recovery. ‣ When in doubt, SEO analyze the 3 top ranking competitors in the site’s niche next to your own site’s link profile. Compare ratios of the different anchor text types and try to match their levels. Generalized Safe Anchor Type Distributions – these ratios are rough guidelines and can vary considerably from the listed values. For example, not every site will have or need a brand name. We cannot emphasize enough how significant it is to use safe ratios for anchor text, particularly exact commercial keywords and keyword phrases! This is almost 100% a common denominator across every algorithm penalty to date and most manual action penalties as well. It is almost certainly the single most significant contributing factor to receiving a penalty. If you want to be completely safe, just don’t use money keywords at all for any follow links! Deindexed domains have been completely removed from Google’s search index, usually for penalty reasons. Needless to say, these links provide no positive SEO value and are usually a risk. Links from deindexed domains will accumulate much more rapidly sites that used ‘SEO only’ type backlinks. In older high-risk link profiles, the numbers of deindexed domains can end up being very significant. Such sites may have well over 50% of their linking domains deindexed and penalized in Google. This in turn can trigger a penalty due to poor link quality. Such links are prime candidates for a Google disavow list but can be nearly impossible to remove manually due to their webmasters essentially abandoning the sites until they expire. After Penguin 2.0, mass site wide links over-optimzed with money keywords appeared to be the single most common cause of new algorithm penalties for our penalized clients at Rewind. These sitewide links suddenly became THE common denominator in nearly 75% of our analyses at Rewind SEO. The rank losses ranged from minor SERP drops of 1-2 pages which could just be link devaluation, up to severe SERP losses almost off the radar. In short, large scale sitewide links with money keywords are an extreme risk! I do recommend sitewide links be nofollow but do not discount the legitimate dofollow site wide backlinks. If your business uses sitewide backlinks, you should definitely take a look at our detailed case studies on the exact reasons these links get penalized and how you can avoid these penalties without losing your links. For much much more info on these header, footer, and sidebar links, see our detailed case studies and review on safe and risky uses of sitewide links. General link directories, also called web directories, or sometimes self-proclaimed as “SEO friendly directories” are a long-outdated link building tactic. These directories usually have categories on a wide range of topics covering potentially any type of site. Google’s official stance is that most general directories exist purely for SEO purposes. Accordingly, these directory links are commonly cited in the example links section as a cause for manual penalties and many directory sites get deindexed or heavily penalized in Google SERPs. It is highly recommended to disavow all except the top general link directories you find in the penalty analysis including paid directories. Dmoz.org (Open Directory Project), Business.yahoo.com (yahoo’s business directory), and botw.org (Best of the Web directory) are some of the only exceptions to this rule. In fact, directories are commonly used in negative SEO cases we see, though also appear often in penalized sites that have outdated and now considered manipulative link profiles. It is important to distinguish general SEO directories from niche directories and many business directories/citations. Both of these directories are legitimate for SEO and completely different from ‘link directories’. Niche directories are restricted to a specific vertical while business directories are proper citations, only allowing businesses with a physical brick-and-mortar address and phone number. Unfortunately pretty much ALL bookmarking sites are all spam links except for the the well known PR 7, 8, and 9 social networks which are of course much more than just bookmarking sites and also are mostly enforced nofollow links anyway. As of 1-2 months prior to Penguin 3.0, we have seen large numbers of these sites getting deindexed, even page rank 3 and 4 domains. With the launch of Penguin 3.0, it seems these links have become even more toxic and many sites seem to be penalized entirely due to their large numbers of these bookmarking spam links. Several years ago wiki links were the cool new and innovative link type to be spammed to every imaginable wiki with the cheapest auto-spun content. They are still being spammed to every imaginable wiki with unintelligible content but have now become one of the most generic and common spam link types, far surpassing article directories in volume. A meaningful entry (and link) on a topically relevant wiki site is going to be good link of course. Wikipedia and possibly a few other authoritative and heavily moderated wikis are good links as well but they are also nofollow links in order to avoid spam. This is a recent confirmation though one hopes, this was already common sense to any SEO because this is one of the most common spam link types. Blog comments are not risky links in general but when the commenter’s ‘name’ is a money keyword, the link becomes a significant spam signal. The safest anchor text for a blog comment is obviously your name (or any name). In some cases, a company name may be appropriate though Matt Cutts has warned against this as well. High numbers of blog comments on topically irrelevant blogs and sites is another risk. Auto approve (AA) blog comments are unmoderated pages where comments are automatically approved and posted. These are extreme risk links due to comment spamming programs like scrapebox. They can be found in the link analysis by checking for high outbound links counts (OBL) and will usually have your link placed on a non-relevant page spammed next to hundreds, even thousands of other completely irrelevant spam links. The idea that auto approve blog comments are safe on pages with low outbound links is also incorrect and outdated. These links may not be immediately risky, but over time they will be spammed more and more so at best it’s a ticking time bomb. Either way, high proportions of blog comments in general are a risk. All recent AA blog comments I see now are almost 100% used for negative SEO. Non-editorial article directories are risky because they are usually filled with unreadable spun content and therefore just another type of spam site. If the particular article linking to your site is unique and readable that’s one good thing. However, these sites will often have manual or algorithm penalties, get no human traffic, and are just risky link neighborhoods in general due to massive overuse. It’s easy pick out many of these sites by the simple fact that they’ll have “article” in the name. A few of these links won’t hurt you but a large number of AA article directories will help to trigger a penalty. A small number of editorial article directories like EzineArticles.com still carry some power and also bring some traffic. However, these are still risky and considered manipulative by Google. We have seen EzineArticles listed as a specific example in a reconsideration request rejection notice. To be safe, just stay clear of all article directories since even editorial directories can be referenced in a manual penalty. Mass forum post backlinks are similar to AA blog comments though usually with smaller counts of outbound links. These spam links are generated by programs like xrumer, will usually be mixed with a lot of other spam posts, and only work on abandoned forums. Pure spam links. These ‘entry level spam links’ are one easiest types to create in bulk on the order of thousands or even hundreds of thousands. There are a lot of common footprints to find these links by URL alone. Any Penguin recovery project must get rid of these links as a high priority. To clarify, forum profiles which have real forum posts and activity are not a problem. Bulk forum profiles refers to profiles with no posts (or a single spam post). These are basically inactive/empty profile links on a variety of different types of sites (not just forums). Link building services like to call them web 2.0 profiles or similar names. These are considerably lower risk than forum profiles and also have more SEO value (due to site type diversity). However, they are low quality links and in large numbers are still a major risk for Penguin. Due to common CMS platforms, web 2.0 profiles are readily visible in an analysis by various URL footprints. This is a fairly new development from mid 2013 but everyone should have seen it coming for years. Press releases have been massively over-spammed to free non-editorial press release sites and now are considered risky links. Google now specifically states in their webmaster guidelines that dofollow money keyword anchors in press releases are considered link schemes. Real editorial press releases are great for press exposure and traffic but these should generally be avoided for SEO purposes. Write some newsworthy press releases and distribute them on real PR sites but don’t consider this as a method for SEO. Low quality auto-approve press release sites are just spam neighborhoods. Blog networks are powerful but risky Blackhat backlinks that can look like legitimate blog post links. Most are hidden with little or no footprints by using different or hidden domain registrant details, hosting IP address, Class-C IP block, DNS, Google Analytics code, and more. However, cheap or abandoned blog networks will have many of these commonalities in plain view, leaving obvious footprints to anyone who is looking. Exposed link networks are a risk for both algorithm and manual penalties. Google’s web spam team is always looking for poorly hidden footprints to reveal a link network. When they find these networks, the links are devalued and the site has a high chance of getting slapped with a manual penalty. Fortunately these same footprints are also how to find these links in a penalty analysis in order to get these links removed or disavowed. Exposed network links always need to go. Hidden networks you can keep at your own risk for Penguin recovery projects. But for manual ‘unnatural links’ penalties, ALL known link networks need to be removed (not just disavowed) as the #1 priority before a reconsideration request. Link networks are very common causes for manual penalties. This is a very general but important consideration. A lack of high quality links with tons of low quality links can also lead to a penalty and is very common in penalized sites. I will not go into what a quality link is here, except that it must include good and original content, page and domain quality metrics, and/or topical relevance of the domain. Cemper Power and Trust or Moz Authority and MozTrust are both reliable metrics from Link Research Tools and Moz respectively. On the other hand, Google Page Rank is not a reliable quality metric! Page rank is almost a year out of date and should be considered a legacy metric with little significance. In general, the presence of even small percentages of high quality links, editorial links, and links from relevant authorities can make a significant difference in how safe the link profile is as a whole and how much ‘padding’ you get for the risky links. When in doubt, we always recommend a side-by-side competitor analysis putting your site next to top ranking competitors. One of the most fundamental principles in SEO; link profiles with very little diversity in link types usually appear very artificial. Ratios will vary based on site type and topic so again, when in doubt, check what the top ranking competition is doing. This concludes our list of the common causes for Google penalties. Remember again that this guide is intended for general diagnostic purposes. It is a ‘rule of thumb’ guide. 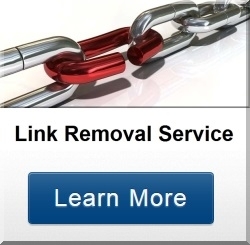 If you are actually making a disavow list for a Penguin recovery project or a manual link removal list for a reconsideration request, you will need a more comprehensive assessment backed by link metrics in order to avoid disavowing potentially good links and also getting any less common or hard to find risks. In this case, consider our comprehensive SEO Analysis and Penalty Recovery Solution. All statements and suggestions are backed or derived from our experience at Rewind SEO working on hundreds of Penguin recovery projects and countless more manual penalty analyses. However, this information may not be universally applicable or true. Ultimately it is Google that determines ‘good’ and ‘safe’ uses of backlinks and they seem to change their ‘rules’ quite often so there is no guarantee that all safe or effective SEO practices today will be valid for future algorithm updates. Certainly in the past, we have seen huge changes from Google in terms of how different backlinks and backlink types are treated in their search and penalty algorithms. Always keep this in mind when building links. The safest type of link is one that looks as organic as possible within your full link profile and serves a purpose beyond SEO. Very detailed, authoritative report, guidance and advice. Thank you. Efficient and helpful work. Many thanks! Very pleased with what was delivered. Very professional throughout. Good communications. Has good understanding of field of work. Just what I needed! He knows exactly what to do.